Y7 - D208 - Animation! Drawing silly pixelart characters is one thing. Having to animate a horse!? That's a whole other thing!!! Over the past week, I've animated a cat, a dog, and now a horse, too. 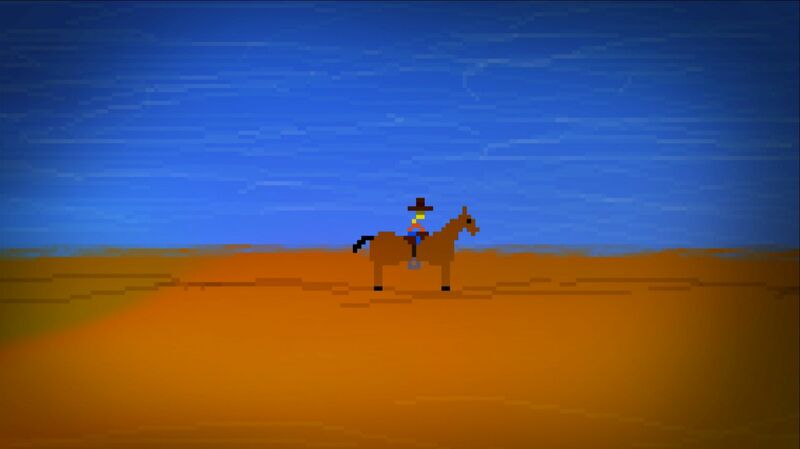 I'll admit that, having animated the horse and got it into the engine, I then closed the laptop and opted to play games for most of the rest of the day, instead. Animating really takes it out of you, even if it was only 6 entire frames of animation!! I just don't have the stamina for animating. It wears me out. Not a bad horse, though, even if I do say so myself. Y7 - D207 - Finally!!! Finally, SyncToy has reached a point where it's no longer stumbling across oodles of random files that it somehow managed to miss on the previous 80-or-so passes. My Backup is now 100% Complete, and I did indeed create a BlitzMax utility to similarly scan the two drives, to ensure they were "mostly" identical. The filelist is duplicated, and file sizes are the same, so I'm going to assume that SyncToy managed to duplicate the files properly, and not just make blank files that happened to be the correct size!!! 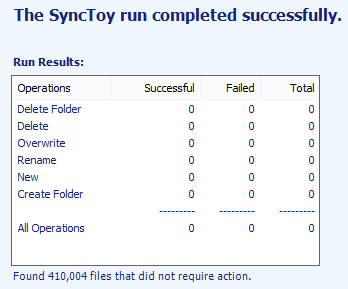 For some reason, even though SyncToy has been told to sync EVERYTHING, it's just plain bloody well ignoring those. So with the backup finally complete, it's time to jump back into the Dev folder and start updating things. First thing's first, the Android edition of SpikeDislike3. I really should've released it about a week ago, but with all the crazy Backup stuff going on, I didn't want to confuse the system any more than it already was. Meanwhile, last night I started to draw a horse. .. Animating is a whole other issue!!! Y7 - D206 - Is that STILL going on? Not a very productive day, yesterday, if I'm honest. I continued to play about with that Lester&Ralph theme, but I'm hitting the same roadblock as the last time, with the Sheep Goes Right theme, in that the characters run at the same constant speed so the entire point of the Combo system is completely ruined. I'm not sure what I can add to mix it up, and am desperately playing with all manner of elements to see if I can find that one little thing that suddenly makes sense. I keep restarting the backup each morning, and it's gradually getting quicker at doing it. I figure that, since each morning, I already have a routine of Pixelart and Blogging, that adding "And run SyncToy in the background" would make for a nice addition. Unfortunately, on the fourth attempt, although most of the files and folders are now backed up in a moderately decent manner, it's still complaining about "3 files".. and it isn't telling me which 3 files those are. I might have to do my usual trick of creating a small Blitz program to do the job.. That usually works better than most of the overly-complicated methods of doing things. Still, onward and upward.. The backup's more-or-less finalised, so I should be able to get back to some kind of normality in my devkit. I'll try my best to get the Android edition of SpikeDislike3 updated over the next day or so, with the 5 new themes and any other background tweaks that might've happened in the interim..
.. and hopefully all this SyncToy gubbins hasn't unexpectedly "backed up" an older version, or I'll be kicking and screaming for most of the day! I'm in a bit of a rush, now, because I know that at any moment, Windows 10 is going to turn up, and it'll probably bugger up my entire sodding dev-kit again! First, I'd like to apologise for one of the new themes. It seems that in my rush to get the game out, I neglected to realise how much blank space was left in one of the sprites. 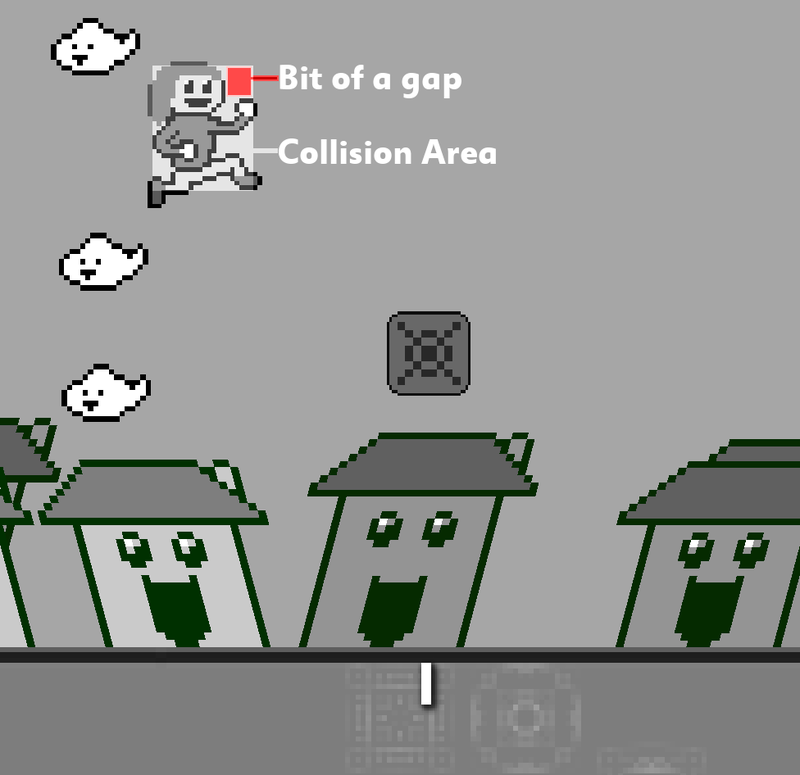 What appears to be unfair collision is in fact "empty space on the upper right of the sprite". In my haste, I neglected the upper right of his sprite, and left it a little bit "too" empty. As a result, the game looks like it's being really git-ish in it's collision detections. I'll fix this for the next update, either by reducing his collision detection, or moving his arm up a bit!! Rest assured, the game isn't being unfair, it's just that I can't draw!!! I spent a bit of time playing with the new OUYA themes, yesterday, but so far only one is looking half-decent. I might, instead, head back to the iOS edition and make a start on the new themes there, instead. For the next 5 themes on iOS, I'm aiming to do something entirely different. Much like the Sheep Goes Right and Barry The Bee themes in SpikeDislike2, I'll be rejigging the controls and gameplay to give a totally different experience. Hopefully I can come up with a couple more ideas, or we'll end up going back to a bouncing ball again! Oh, and if you're wondering why the Android edition hasn't been updated yet.. I'm still waiting for that damn Backup to finish!! Once it's all done, I'll get the Android edition all tweaked and fixed and updated. Should be soon. Meanwhile, last night I played some Pan Flutes, and it didn't turn out horribly awful! Y7 - D204 - Watch! 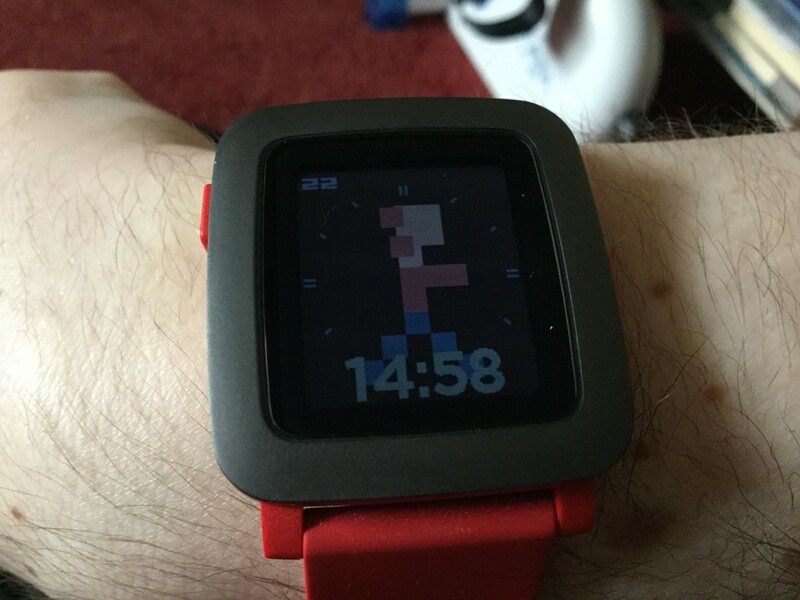 Both are available from the Pebble downloady doohickey. Photos : Beware : Hairy Arm!! My Pebble Time arrived a couple of days ago, and these were the first two things I knew should be up and running on it! They're working fine, and were nice and easy to get running, since for the majority of the stuff it was simply a case of uploading colour sprites which get used instead of the monochrome ones, when the game's run on the new colour display. Works well enough, but .. 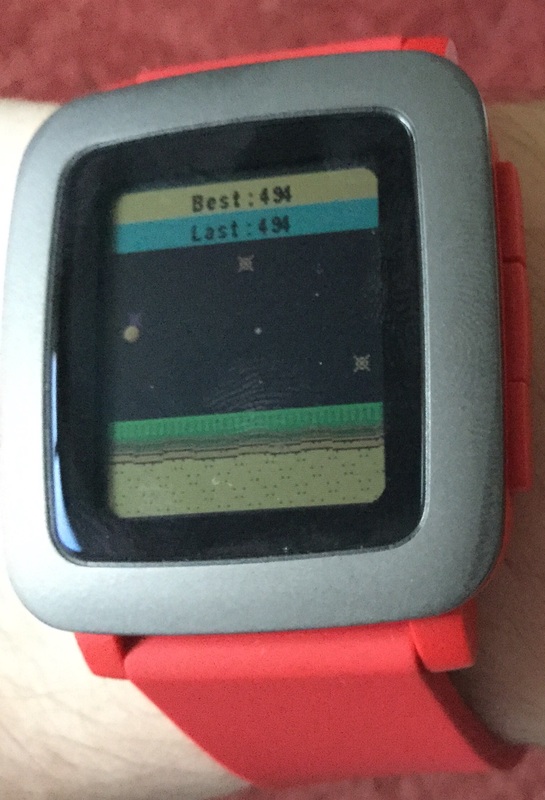 I must admit, the colours on the Pebble are a little subdued. I mean, it's not awful, it's just not .. in-your-face! Yesterday was one of those Lazy days. Currently my laptop is doing a SyncToy backup of my GameDev and WebDev folders, which as you can probably imagine, isn't very good for it's battery! I've had the thing plugged in permanently for about a day and a half, and the damn thing's still slaving away copying hundreds and thousands of files. SyncToy is a completely free tool from Microsoft, for creating mirrored backups of specific folders. You can Download SyncToy here as of July 22nd 2015, but knowing Microsoft's annoying habit of constantly restructuring their website every other day, that link will probably be out of date by the time you're reading this. ...It has to be done from scratch, since the previous FTP transfer from the old NAS to the new NAS has annoyingly removed all the dates from my files. Grrr..
Could've sworn FTP was supposed to preserve timestamps, but I guess not. SyncToy does indeed preserve your timestamps, so that's good when trying to do date-based searches. The backup NAS's contents are much more organised, now. There are multiple copies of a lot of things, and I'll have to dig through and delete a lot of stuff, later, but for now it's looking much more sorted than it used to be. For starters, my new "Server" backup folder no longer contains things from my JNK-Sielts site that I created back in 2001! That'll remain part of "Archive/Server/" instead, as will a WHOLE lot of other old junk! That's how archives are supposed to be! Now to figure out how to get to my old Midi and Mod archives from off of my older IDE drives..
Y7 - D202 - SpikeUpdate!! The SpikeDislike3 v1.5 update is LIVE on iOS. This all new update includes a lovely new menu, portrait mode, Music-Loop option (albeit a bit naff! ), the ability to slide your finger on the lefthand wiggly-bar to scroll through the menu quicker, an option to turn off the Parallax, a number of background fixings..
Oh, and Five New Themes! Grab the update from the AppStore, and try not to hit the "Lock All Levels" button in the menu, like one poor soul already has! Which, of course, leads me to thinking about the potential "Lite" edition of SD3. That whole Android nonsense has, of course, completely ruined the entire smegging point of having the Lite edition over there, but we can still have fun with iOS. With Lite editions, I've tried my best to make things subtly/drastically different. This hasn't always worked out, as when I created the "Meaning of Light" theme for SpikeDislike2-Lite, I actually ended up porting it back over to the full version because I liked it so much! Ooops! 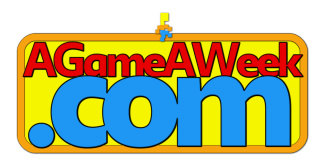 I feel like I should make some nice new special themes, and create a mini-edition of the game, specifically for the purpose of being the Lite edition. I'm currently thinking of ideas for what may/may not work in this edition. If you've any suggestions, there's loads of ways to send them to me.. Leave a comment below, post it to the Mailbag, Tweet it to me, or email me directly. In the past couple of nights, I've begun to work on AL's new AL Bum, and have decided that it's going to be titled "Liquid"
As per the past few AL Bums, each track will have a different ALphabetical title, from A-Z, but this time with the added benefit of all the tracks being vegetables. Because I'm rubbish at coming up with names for songs, and this is a lazy way to do it! Liquid Artichoke and Liquid Broccoli are the first two tracks. I'll continue to post new tracks, as long as I remember to do that!! A lot of yesterday was spent fiddling about with that stupid NAS Transfer again. Seems the new Western Digital drive has an All-or-Nothing approach to DLNA serving. You can't per-folder specify whether media should, or shouldn't be shared. This means that my huge backup consisting of a decades worth of media, as well as all my game-dev and all my web-dev, has ALL been added to a gigantic DLNA database. I've had to move the "actual" media over to a new "User", and from there have reset the DLNA database to seek only those, instead. Y7 - D200 - 200!! Yesterday, I finally got around to animating that cat and dog that I've been putting off for a good number of days. I knew what I had to draw, but .. Animating?! Eeek!! And so the poor cat and dog remained undrawn, until yesterday when I practically forced myself into doing it. And, I must admit, they turned out rather nice! 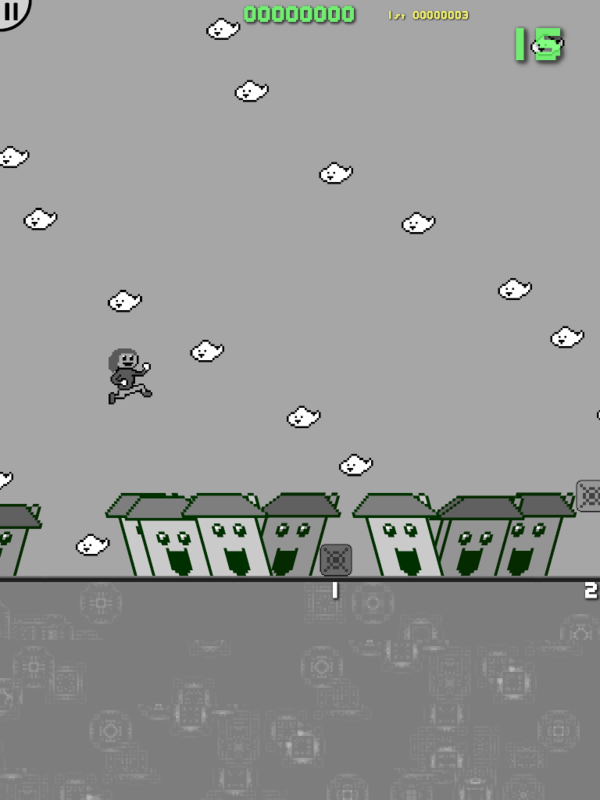 Now I just have to decide on a nice background for them, draw some obstacles, and figure out the best scoring method. The Lester & Ralph "Puss'n'Paws" theme will only be available in the OUYA edition of the game, so if you want to play it, that'll be your only chance!! I'm currently trying to decide what other odd themes will be added to the OUYA edition. Y7 - D199 - Redo From Start? I awoke this morning to find that FileZilla had crashed. I'm using FileZilla to do a complete file transfer from my old NAS drive to the new one. I'm not sure how far it got, or why it crashed, but crash it did, so I had to restart the whole bloomin' thing. Grrr. It's been set to "Skip if identical" to that at least should speed it up a bit. Two whole smegging days, this has taken!! Once it reaches the end of the transfer, (assuming it does!!) I'm going to have to run one of those directory-compare tools, I think, just to make sure that all the files have transferred properly. Meanwhile, I've still not started any proper work on those new SpikeDislike3 themes (21-25). I'm being very lazy this week!! I do have 3 fairly decent ideas in mind, however, so once I get going they shouldn't take too long to implement. .. Just need to make a start, really.